The following guide to classification markings is part of online training courses provided by the Defense Security Service’s Center for Development of Security Excellence (CDSE) Security Training, Education and Professionalization Portal (STEPP). 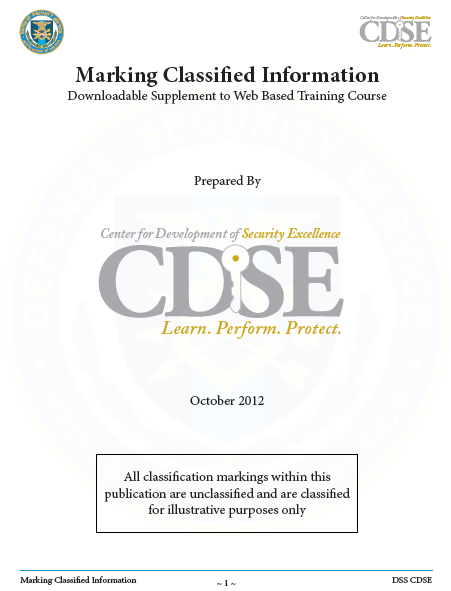 This guide gives Department of Defense (DoD) staff and contractors an overview of the kinds of marking required to protect classified and unclassified controlled information that cannot be disseminated to all audiences. The guide offers an integrated approach to the major requirements for marking and control of information, briefly explaining the reasons for marking and providing examples of correctly marked information. 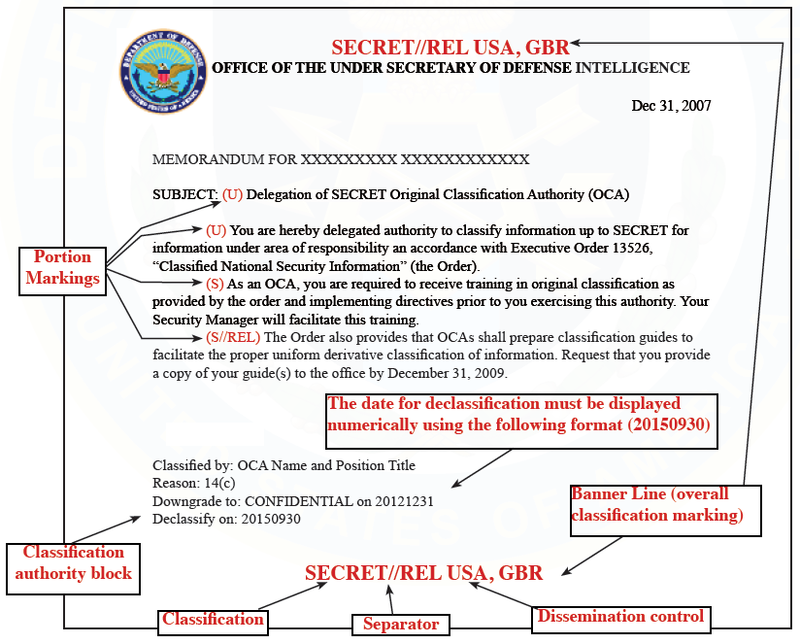 To facilitate information sharing and declassification processes, whenever practicable a classified attachment, addendum, annex, enclosure, or similar section shall be used when classified information constitutes only a small portion of an otherwise unclassified document.